What: Pink Jeep Tours Grand Canyon South Rim tour. Where: Grand Canyon, Colorado, USA. Don’t Miss: Panoramic views of the Grand Canyon from Mather Point! 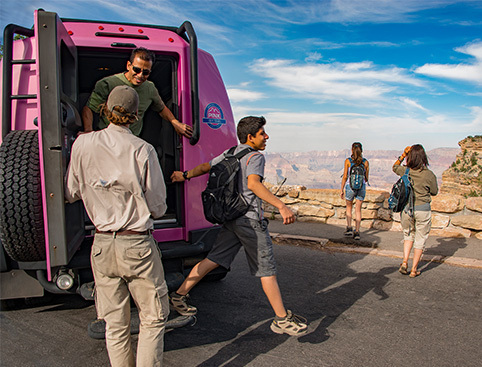 Hop into a Pink Jeep Tours luxury trekker for an unforgettable small-group Grand Canyon South Rim tour! Embark on an unforgettable full-day Pink Jeep tour that’ll take you to one of the most awe-inspiring natural beauty spots in the world – the South Rim of the magnificent Grand Canyon. After being collected from your Las Vegas hotel, you’ll begin the journey to the Grand Canyon South Rim in a unique, custom-built Pink Jeeps Tour Trekker vehicle – specially designed as a comfortable all-terrain touring vehicle. You’ll travel in a small group allowing you more control over where you stop for photographs and the amount of time spent at a particularly special spot. As your guide drives the Trekker, he’ll keep you entertained with stories, facts and the history of what you’ll see. He’ll also be happy to answer any questions you may have. The journey takes you through the vast Mojave Desert, along the famous Route 66 to Williams in Arizona. You’ll travel on through stunning mountainous countryside and the towering pine-forests of the Coconino Plateau. 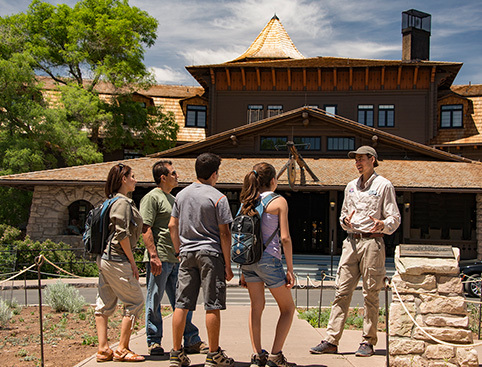 Upon arrival at the Grand Canyon South Rim, you’ll take a three-hour professionally guided tour of one of the most beautiful and magnificent parts of the Grand Canyon. At the end of your tour, you’ll be ready for lunch which you can enjoy at a good local restaurant. Next, you’ll head to each of the viewing areas along the Rim Trail. 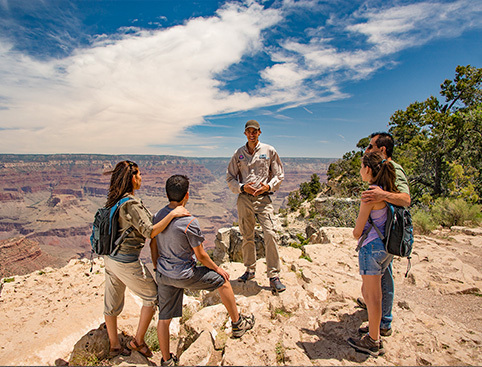 You’ll visit Yavapai Point, Bright Angel Lodge and Mather Point which offer panoramic, breathtaking views of the deepest and widest parts of this vast natural arena. 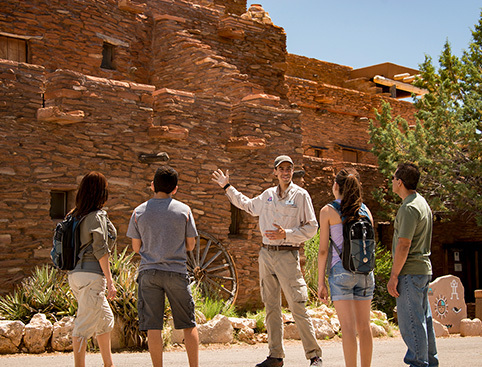 Take time to browse for souvenirs and treasures to take home at the gift shops offering Native American crafts. And finally, after a truly incredible day, you’ll be taken safely back to your hotel. 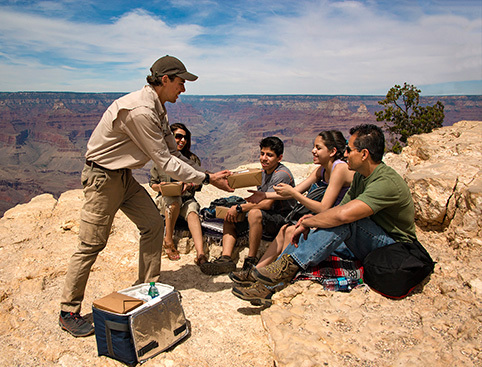 Type of Tour: Guided tour of the Grand Canyon South Rim. Tour Vehicle: Pink Jeep Tours custom-built Tour Trekker. Departure Location: Pick-up is included from selected Las Vegas hotels. Guide: This tour includes an English-speaking guide. Maximum Group Size: All Pink Jeep Tours are small group experiences. Grand Canyon South Rim Tour. National Park passport stamp available at the Visitor Centre. Not Included: Small fuel surcharge payable locally.